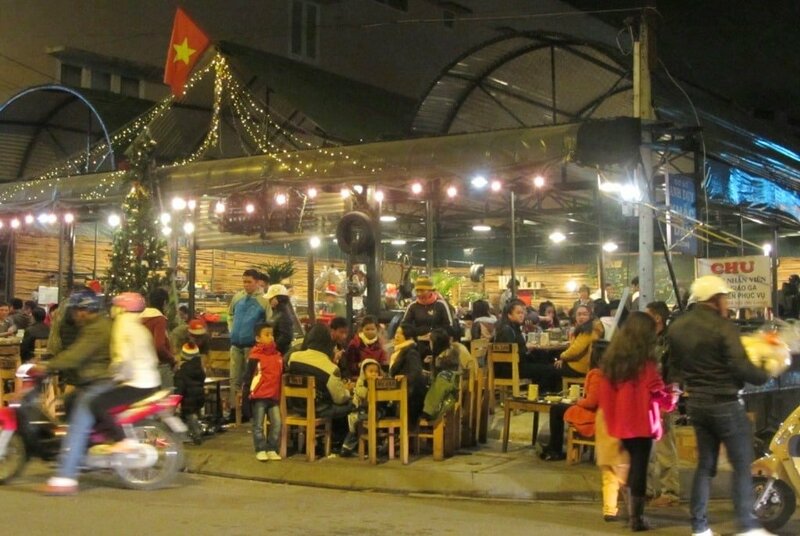 As with other major Vietnamese cities, Dalat is experiencing a new wave of hip, innovative, informal places to eat. Run by young Vietnamese entrepreneurs with a passion for good food and inventive décor, these exciting new restaurants are transforming Vietnam’s urban dining scene. 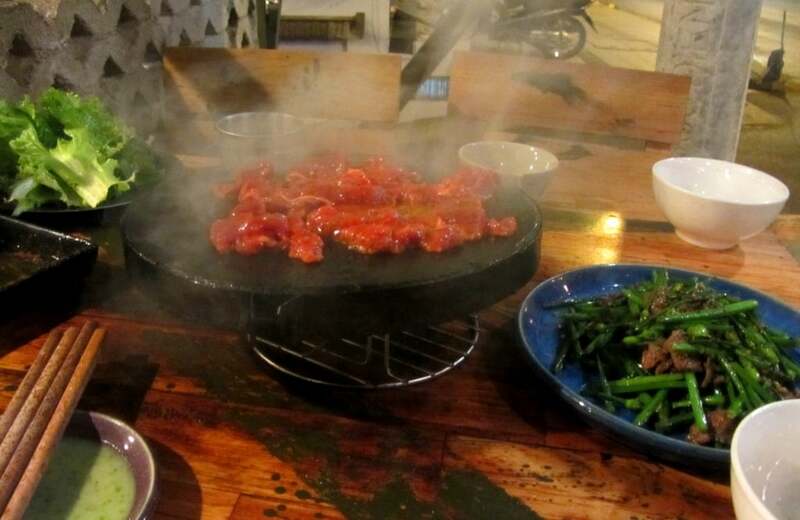 Chu Quán, a smoky open-sided barbecue-grill restaurant, not far from Dalat city centre, opened in the summer of 2014 and has been teeming with locals and domestic tourists ever since. Owned by Long and Dieu, a couple in their mid-twenties, the restaurant’s signature dish is bò sặc: spicy marinated local beef, grilled at the table on a larva-hot, circular slab of volcanic stone. Like most good chefs, Long and Dieu draw upon their own national cuisine, while borrowing techniques and flavours from their favourite regional cuisines, in order to create something new, fresh and exciting. 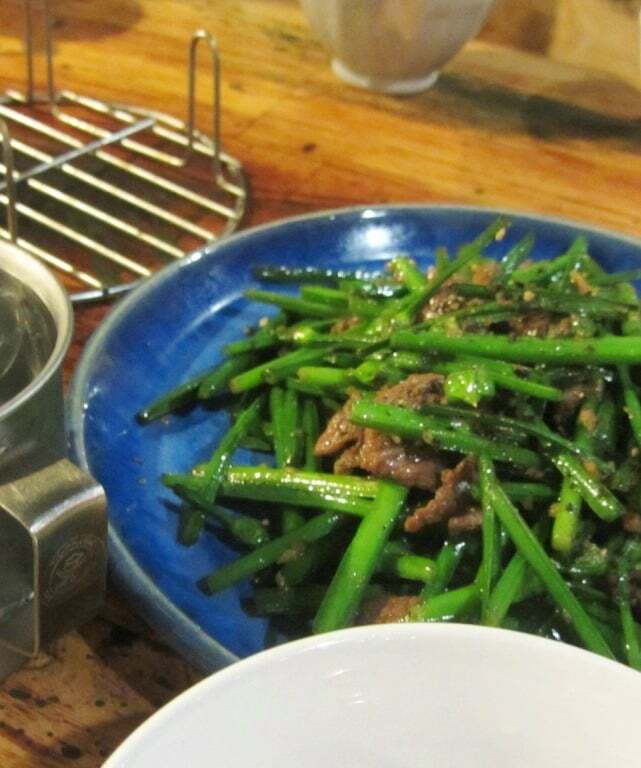 Bò sặc is Mr Long’s spin on traditional Korean barbecue, which he was introduced to while working in a Korean restaurant. Although I was warned about the heat of this dish – bò sặc means ‘choking beef’, so called because the chilli-scented smoke from the barbecue makes you cough – I found it to be surprisingly mild. But, add just a drop of their homemade green chilli sauce, and it’ll bring red-hot tears to your eyes. Other delicious marinated meats, seafood and vegetables get the volcanic rock treatment: the menu is chalked up on a big blackboard and changes regularly. Another interesting creation at Chu Quán is their take on đậu hủ chiên giòn: crispy fried tofu. 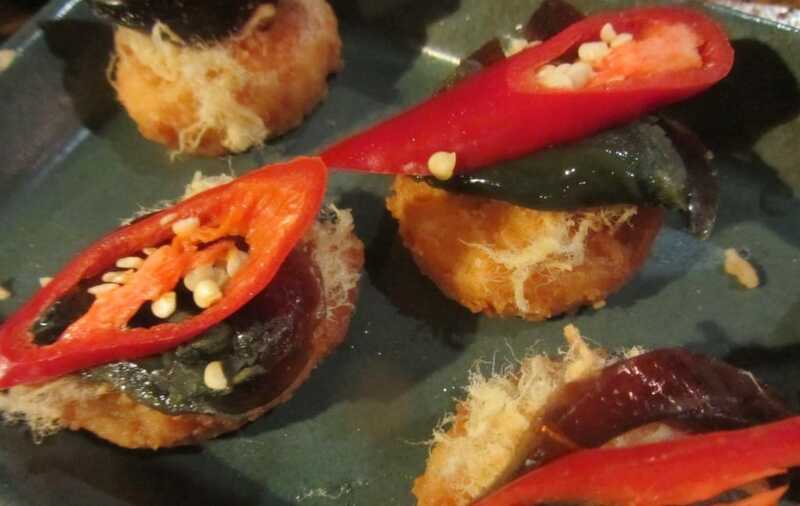 Scallop-shaped silky tofu is fried in a light breadcrumb batter and topped with chà bông (cotton-like pork floss), a slice of Chinese-style preserved ‘century egg’, and a large red chilli. A great combination of texture and colour, these tofu parcels melt in the mouth after an initial crunch, like a chocolate caramel. Dalat is a highlands city, famous for its fresh vegetables. Long is a native of Dalat and he makes good use of the region’s abundant produce. Try the fried chives with garlic for a crunchy, green accompaniment to all the animal protein. Décor is edgy-retro meets warehouse-chic. Wooden plank tables and chairs sit under an arched corrugated iron roof, held up by a metal frame. Walls are decorated with old rubber tyres and vinyl records. Barbed wire, chains, camouflage and other military materials adorn the façade. Diners sit together under a high ceiling, lit from above by industrial lighting, like a mess hall. Cooking smoke and chatter rise up from tables and fill the large space. The military theme is a tribute to Long’s father, who spent much of his life in the army. This entry was posted in ALL, Central Highlands, Dalat, DESTINATIONS, FOOD & DRINK, Meat and tagged bbq, central highlands, chu quan, Dalat, eating, grill, guide, travel, Vietnam. Bookmark the permalink. Thank you for all the useful tips, we are heading to Dalat in 2 weeks and looking forward to this delicious BBQ! I’m doing the ‘old colonial’ trick and heading for Dalat for a week of cooler climate. I’ll definitely try this place. Although you probably take Stavros with you on your Dalat trips, do you happen to know anywhere reliable to hire a non-automatic bike? You shouldn’t have any trouble finding a semi-automatic bike for rent in Dalat – either through your guesthouse/hotel or around Truong Cong Dinh Street around the Hangout and other backpacker-oriented places. 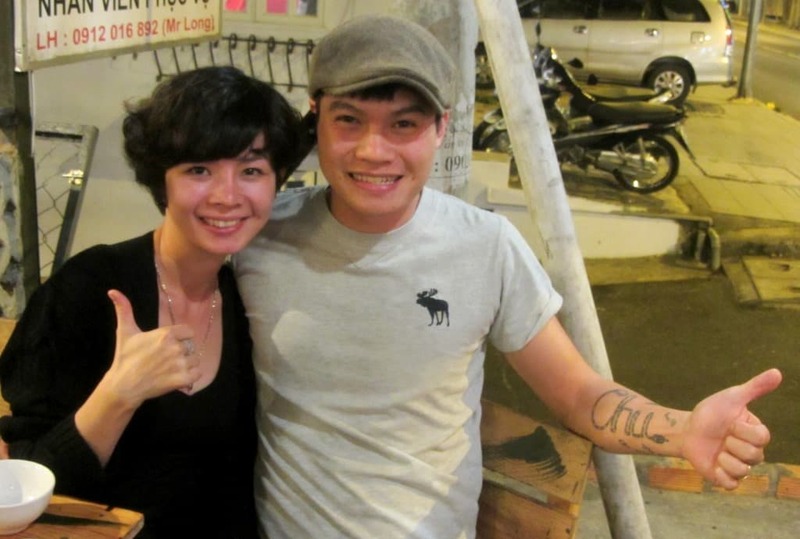 Thanks for a great blog — makes us reminisce about our all too short 6 weeks in Vietnam. Can’t wait to be back – including to Dalat! Thanks, I’ll try it sometime.